Australia’s leading hairdresser makes a splash in the boating industry by taking his boat sales to an online auction platform. Steve ‘Stefan’ Ackerie says “We buy electronics, clothes, groceries, holidays and entertainment all online” he says. “It’s time to disrupt the Australian boating industry with the latest online platform.” he continues. By dedicating a huge section of his brand new boats to support this new model he is showing his confidence in the online auction platform. He has instructed Lloyds Auctions to rock the boat in order to launch this new vision. In respect to his passion and love of boats he believes that this will provide the best opportunity for anyone to let their hair down out on the water on one of these brand new boats this summer. “Unused boats with big brand names going to an online auction mostly unreserved is unheard of, they could sell at any price” says Mr. Bill Freeman, Head Auctioneer at Lloyds Auctions. 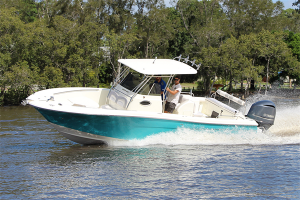 With a boat in every style and shape and all brand new with big brand names, these boats going up for auction online this Sunday are all starting from $1. Offering over 40 big brand name boats such as Seejay, Morningstar, Scout, Haines Hunter, Smartliner and more. With the current online auction buying frenzy, buyers are now turning their attention online to anchor bargains while enjoying the convenience of ‘click and ship’ where boats will be shipped straight to their door. In a day where you can buy everything online, have the convenience of shopping from home and the excitement of bidding, beacons a voyage worth the journey. This savvy hair dresser knows that this collection of boats is the perfect start to rocking the boating industry towards the new online auction platform.